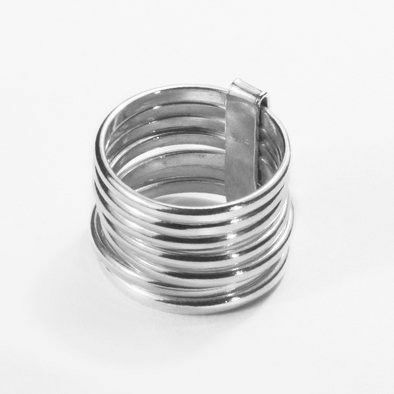 This trendy .925 Sterling Silver ring has a dynamic design featuring multi-tiered design of seven 2.0mm (1/16") wide sterling silver bands joined together creating 5/8" wide ring. Add an instant glamor to your daytime or evening attire. 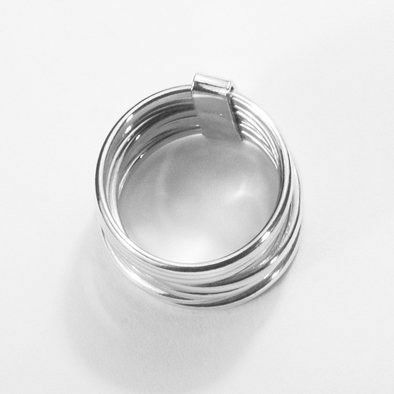 Can be worn as a wedding band or as a dramatic right-hand ring.